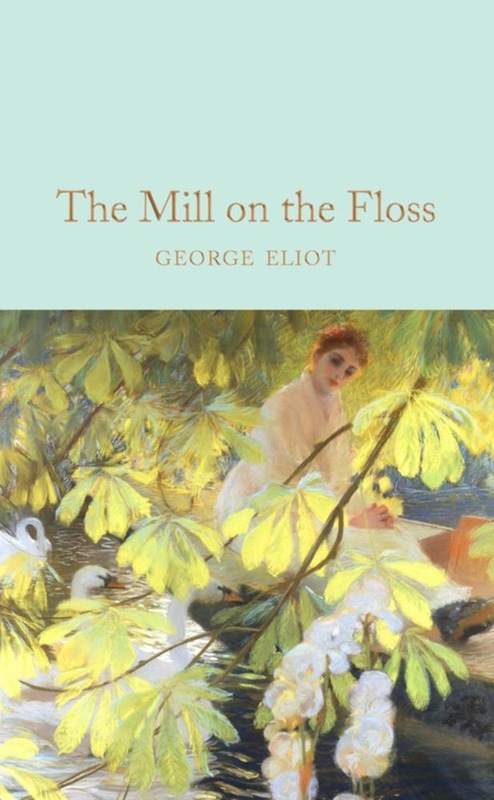 With precise plotting underpinned by a wise understanding of human nature, George Eliot’s most autobiographical novel gives a wonderful evocation of rural life and the complicated relationship between siblings. Part of the Macmillan Collector’s Library; a series of stunning, clothbound, pocket sized classics with gold foiled edges and ribbon markers. These beautiful books make perfect gifts or a treat for any book lover. This edition of The Mill on the Floss features an introduction by Professor Kathryn Hughes. Maggie Tulliver and her brother Tom enjoy a rural childhood on the banks of the river Floss. But the approach of adulthood creates tension: intelligent and fiery Maggie tests the boundaries of nineteenth-century society in her search for love, while Tom embraces convention and accepts his father’s desire for him to become a businessman. Increasingly self-righteous, Tom disapproves of his sister’s suitors and when he discovers that she took a fateful boat trip with Stephen Guest, her cousin’s fiancé, he turns his back on her. Maggie is ostracized by her beloved brother and her own community, and only through tragic events are the siblings reunited . . .
Acquista The Mill on the Floss in Epub: dopo aver letto l’ebook The Mill on the Floss di George Eliot ti invitiamo a lasciarci una Recensione qui sotto: sarà utile agli utenti che non abbiano ancora letto questo libro e che vogliano avere delle opinioni altrui. L’opinione su di un libro è molto soggettiva e per questo leggere eventuali recensioni negative non ci dovrà frenare dall’acquisto, anzi dovrà spingerci ad acquistare il libro in fretta per poter dire la nostra ed eventualmente smentire quanto commentato da altri, contribuendo ad arricchire più possibile i commenti e dare sempre più spunti di confronto al pubblico online.